I made the following recipe for our annual Holiday Party where our menu highlighted Floribbean cuisine. This is not only an appetizer that's easy to prepare but elegant too! 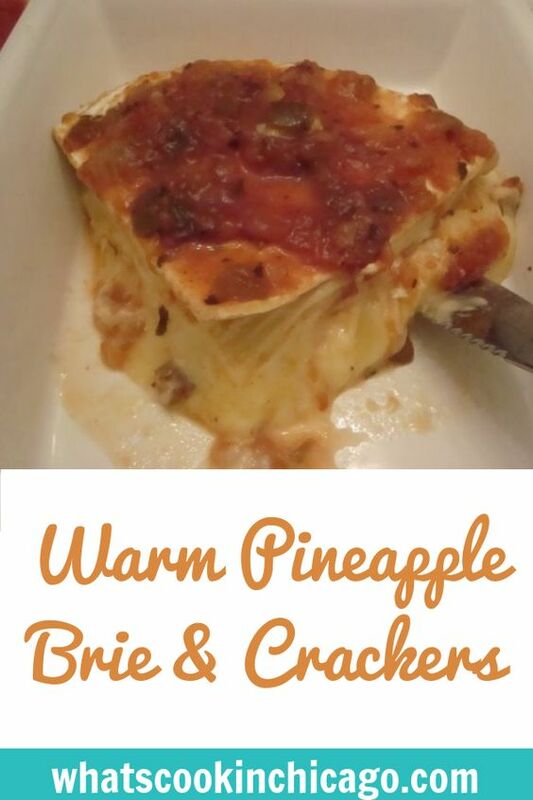 I chose to add this to my Floribbean menu because I'm a fan of cheese and crackers. Brie is one cheese that seems to be a great crowd pleaser and one you can serve as either sweet or savory. Pineapple salsa is something that reminds me of Florida so pairing that with cheese sounded like a great idea! I love Brie cheese, and this looks great!